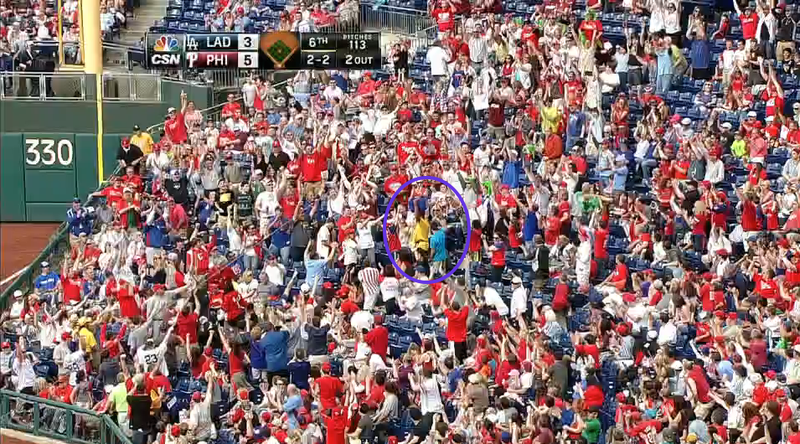 A beer vendor at Citizens Bank Park earned a spot on the highlight reel when he caught Carlos Ruiz's foul ball in the bucket of brews on his head. When the baseball landed in Earl Chaney's beer bucket, practically everyone in the section cheered and clapped. Good job, Earl. Now, a beer bucket allows for a large margin of error, but the dude had it on his head and also didn't seem to know where the ball was. Those two factors make it a bit more impressive. CSN Philly later found Chaney and apparently interviewed him.